Olympia artist, Laney Clark, spends her days with a saw in one hand and a hammer in the other creating small works of art. 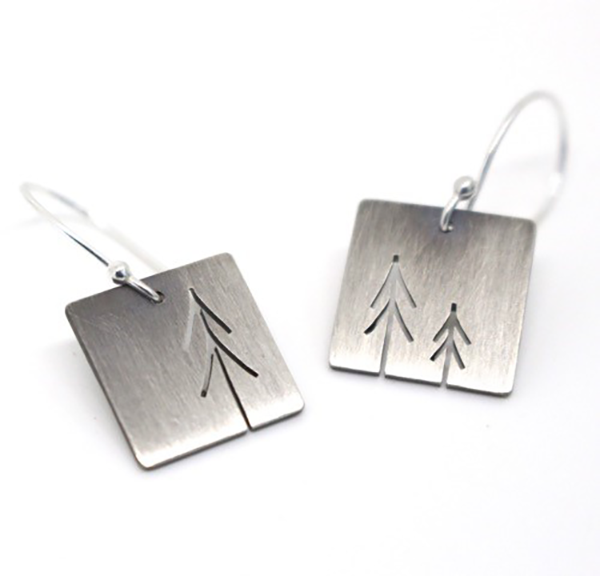 Hand drawn trees, singing birds, and flower blossom pendants paired with gemstones rings and hand forged earrings are just a few of the items she creates by hand, start to finish. Far from just jewelry, each piece is created with a vision of becoming a little piece of artwork to wear.